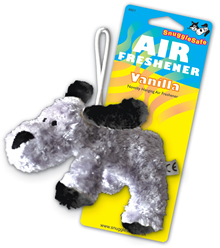 Fun little furry friend that is also an air freshener. Great for the dog-mobile (car) or any pet's corner. Scented Rose fragrance.